Navy Pier - 600 E. Grand ave. Okay, so you know all those amazing clips you're bound to capture on that phone of yours? You should definitely share those with the rest of us on social media. When you do, be sure to tag us on Instagram, Facebook, and Twitter. Don’t forget to use our hashtag #YachtyOnTheLake so everyone knows where the real party’s at. 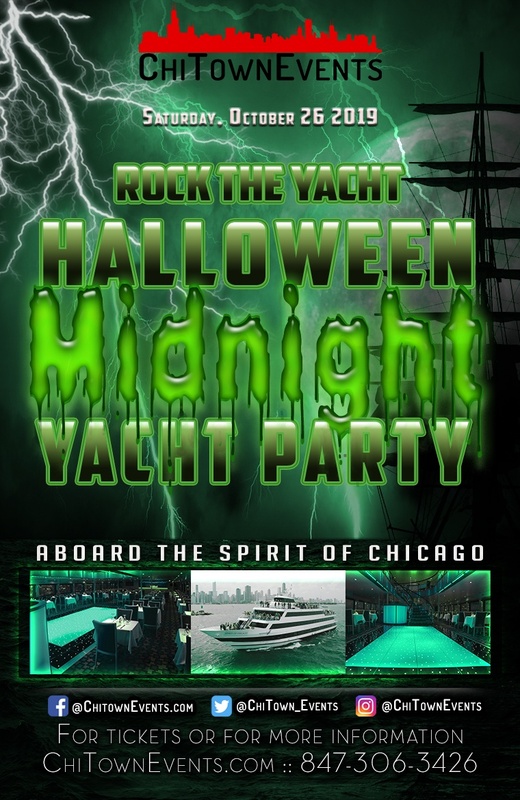 General Admission - Hop aboard the best Halloween boat party Chicago has going on and boogie into the wee hours of the morning! Couple Package - Bring your BOO! Entourage of Four - You and three of your creeps can haunt The Lake with us!